Just a few weeks until we leave! Aaaa! Panic! That is: the expedition departs IF AND ONLY IF our Kickstarter is successful. 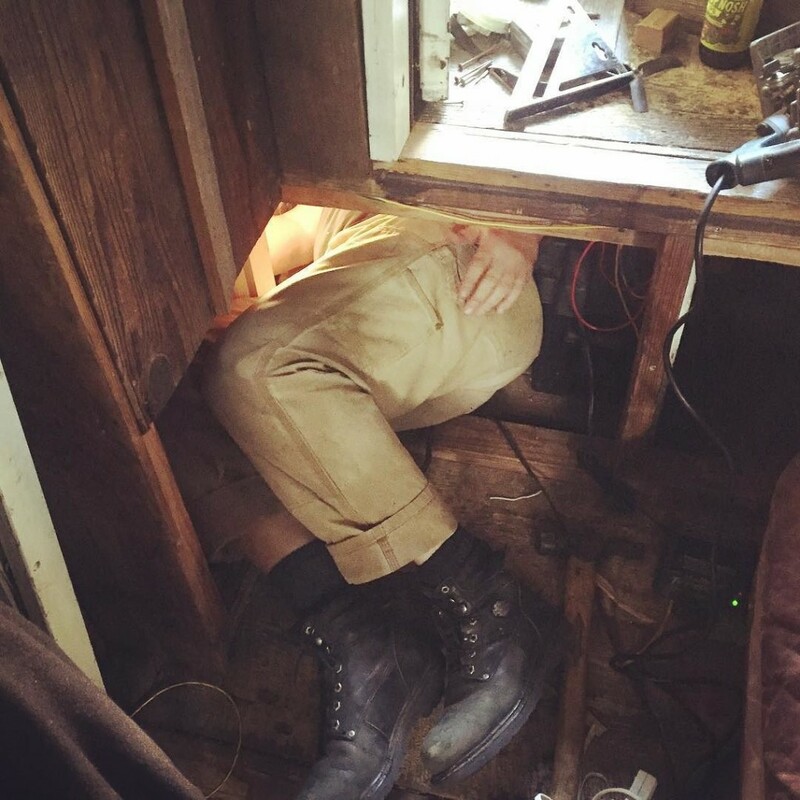 This is what electrical work on the Shantyboat looks like. Hours and hours under the deck. When I finally emerged, I didn’t remember what month or year it was. The overcrowded junction box I put in last week was giving me nightmares. 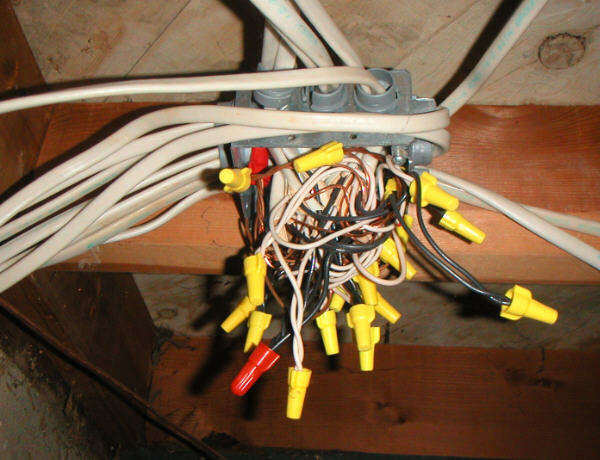 I worked as an electrician’s apprentice growing up, so I couldn’t leave this mess in good conscience. 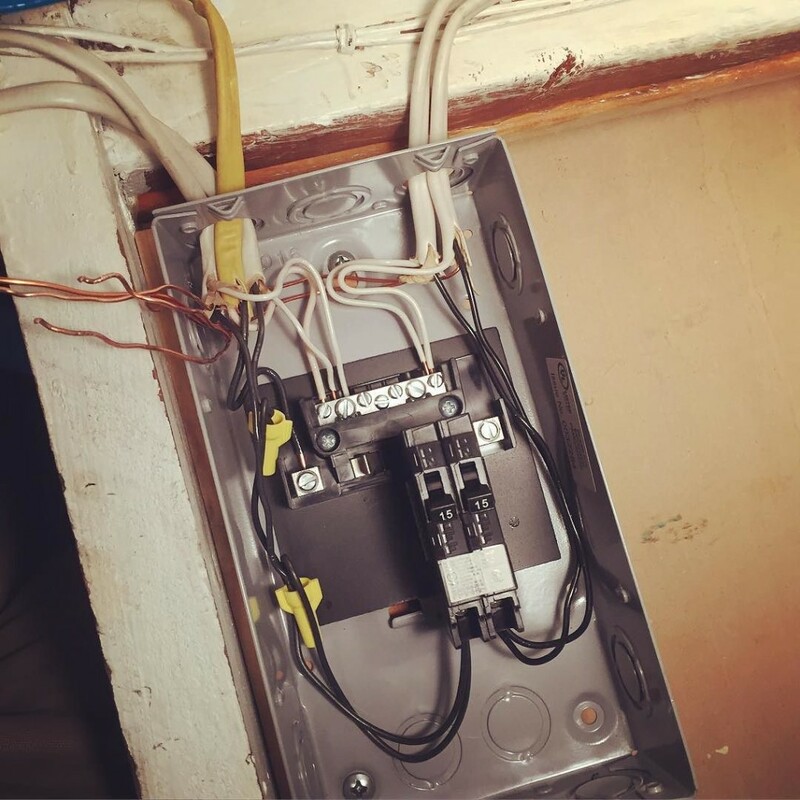 So I replaced the junction box with an orderly breaker box. Totally the right way to go. Yes, you electricians. I know I should put clamps on the wires. Check out the condition of the roof in this photo. Don’t be distracted by the goofiness going on there. See how it looks like maybe it’s been hit by a few trees? The leading edge of the roof has suffered quite a few indignities over the last two years. We’ve trimmed low-hanging trees in nine states, caught 50 to 75 mile-an-hour winds over ten thousand miles of highway, and improved at least one gas station’s incorrectly marked overhang. 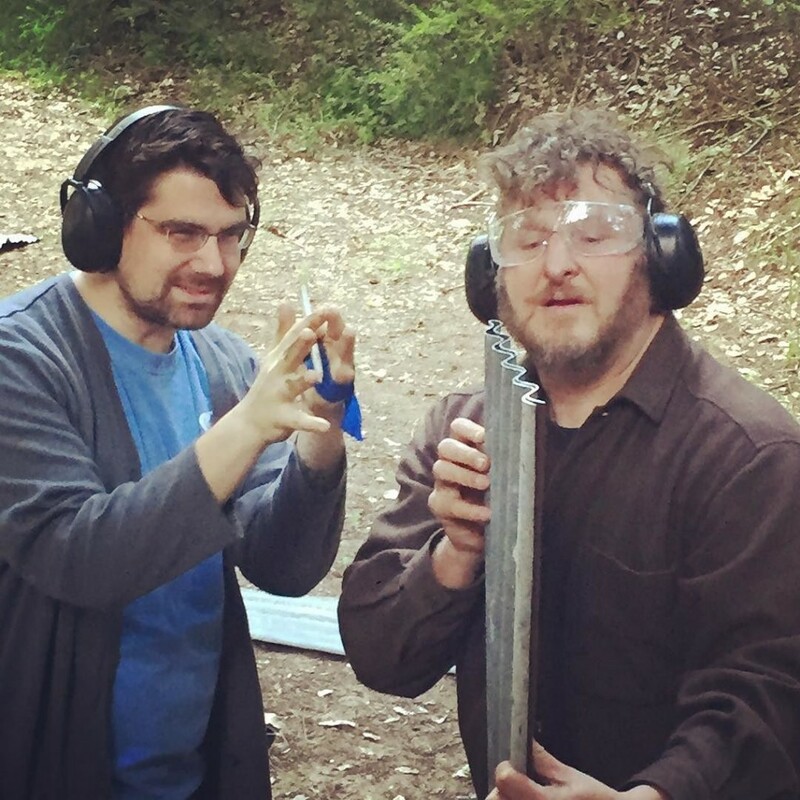 So we had an idea to double up the edge for strength. Additionally, the folded edge would be less likely to catch low-hanging trees than the knife-edged metal we had before. On the shantyboat our precision work often achieves tolerances as fine as a 1/4″ or more. Next weekend we are going to do an insane thing. Something that our having done before makes it feel no less crazy. 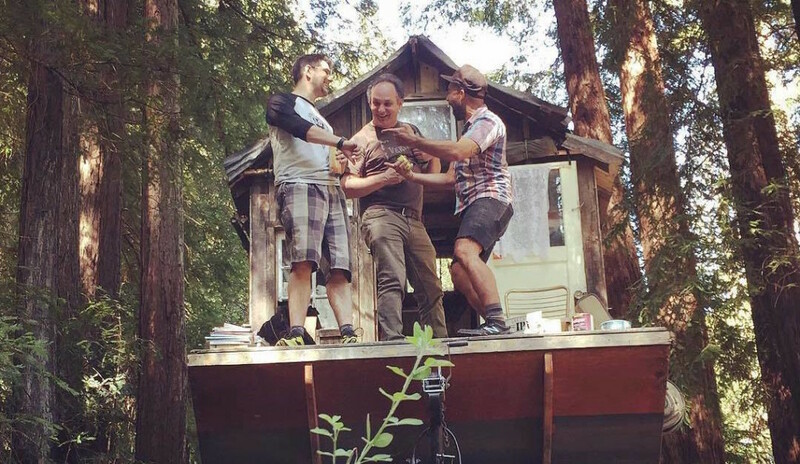 We are going to put the shantyboat in the ocean, pilot it to the harbor, pull the boat out of the water and drive it around dangling from the harbor’s mobile crane, and set it down high and dry on blocking. We are going to work on the hull and the leaky motor mount. We did this last year, but it still seems like madness. Wish us luck! ← On the #shantyboat our precision work often achieves tolerances as fine as a 1/4″ or more.